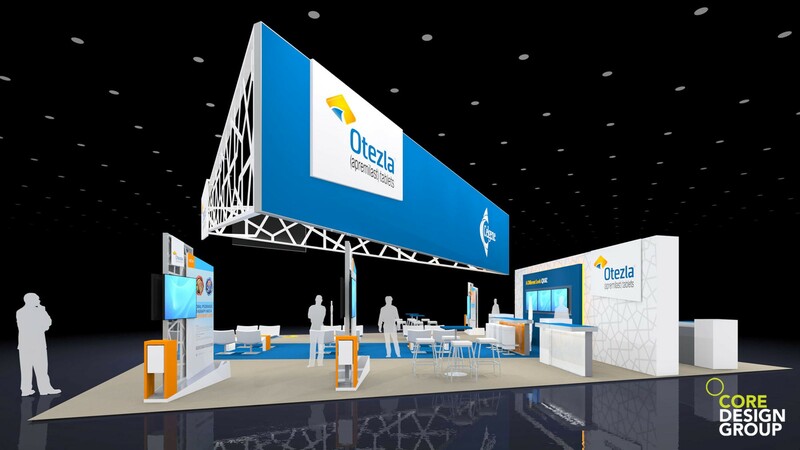 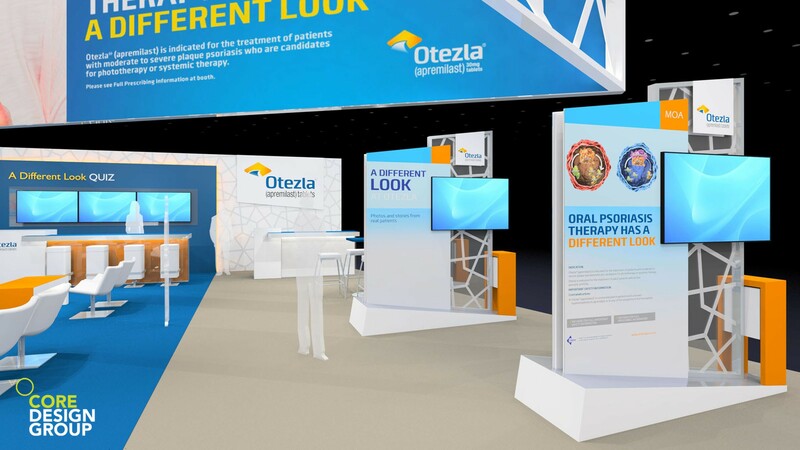 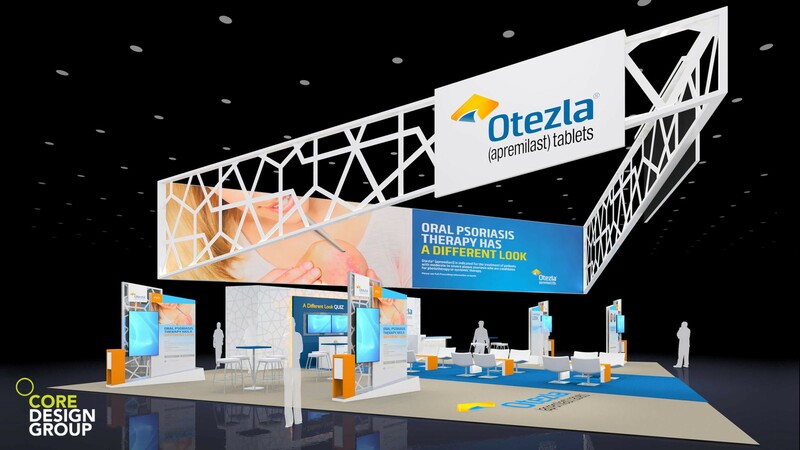 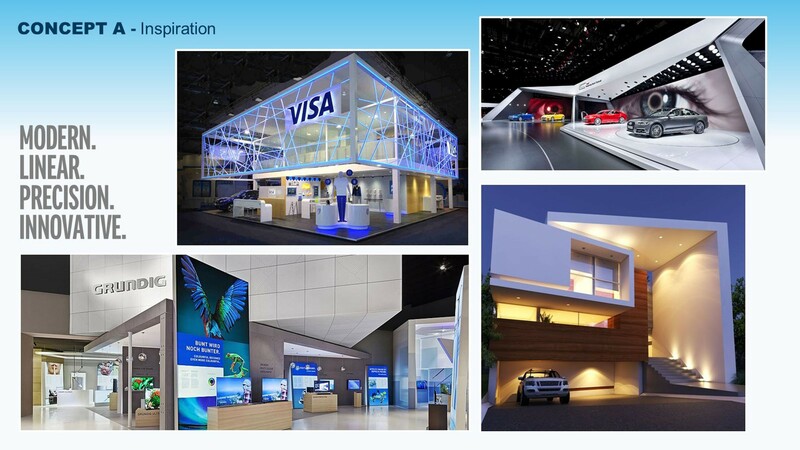 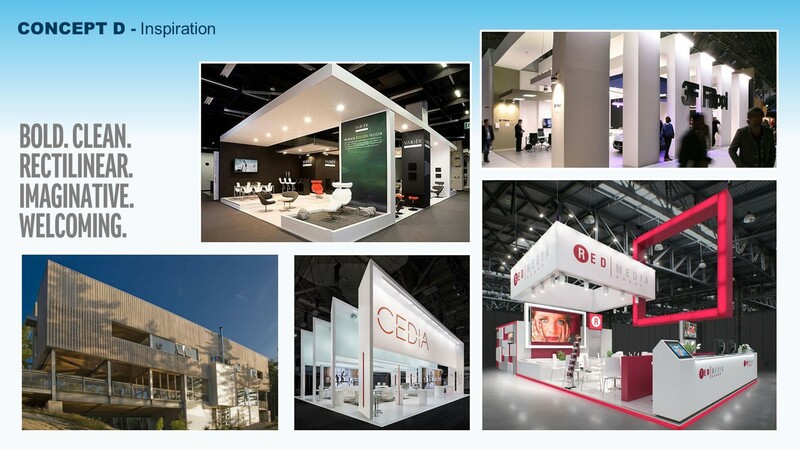 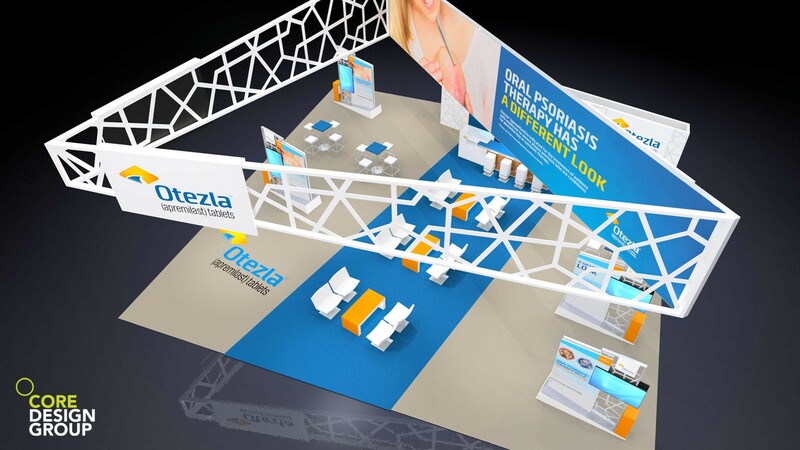 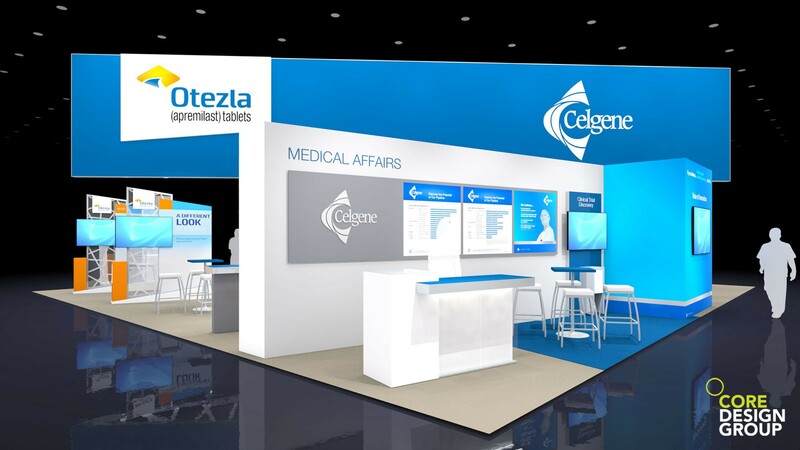 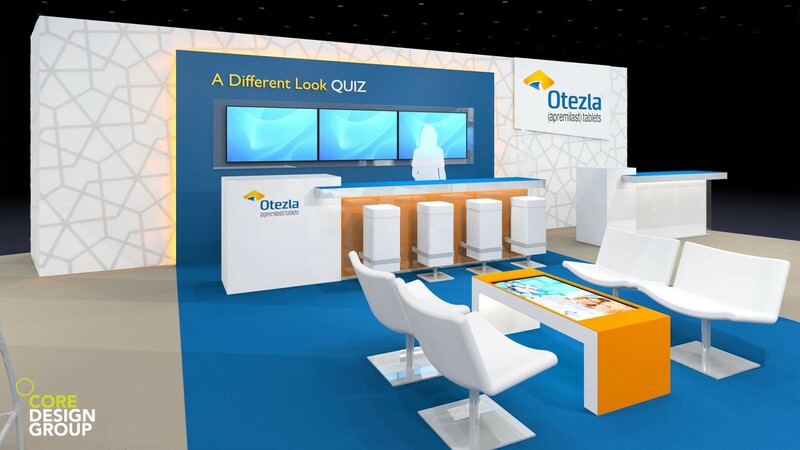 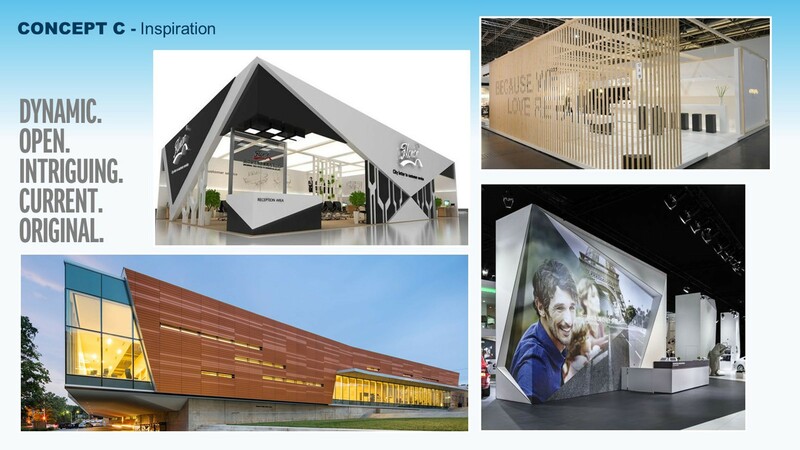 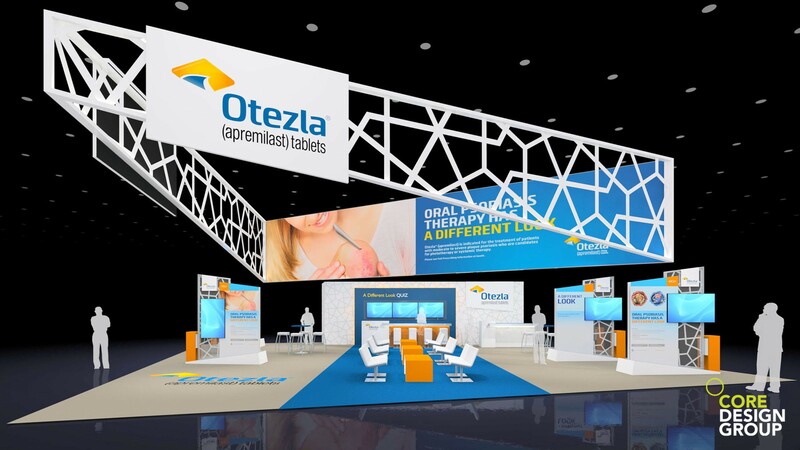 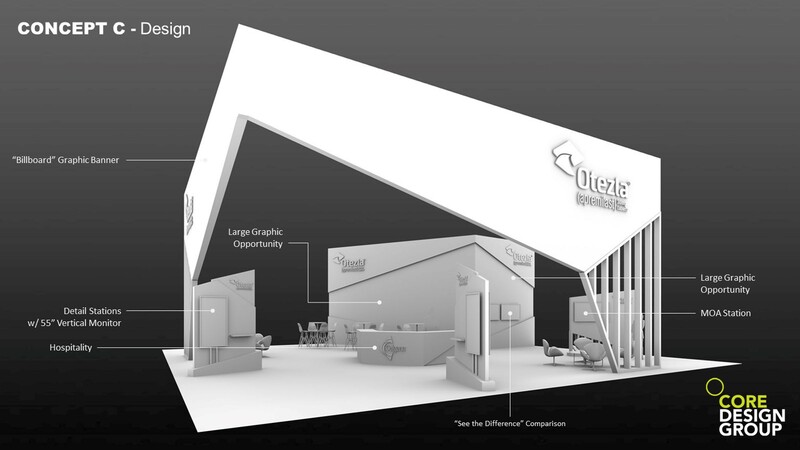 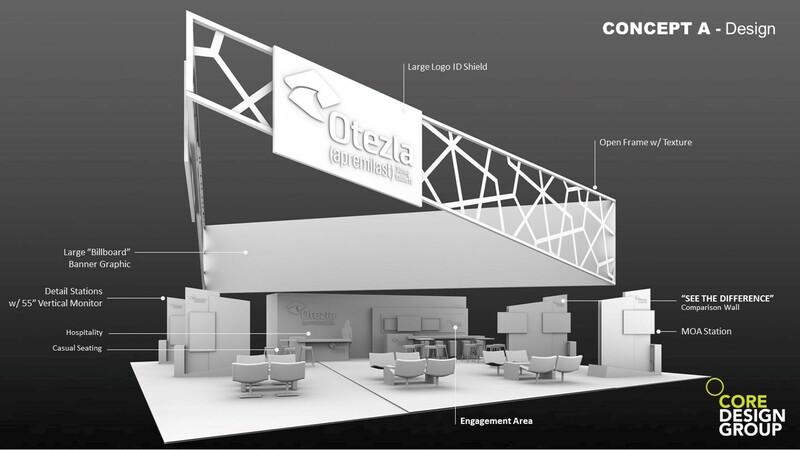 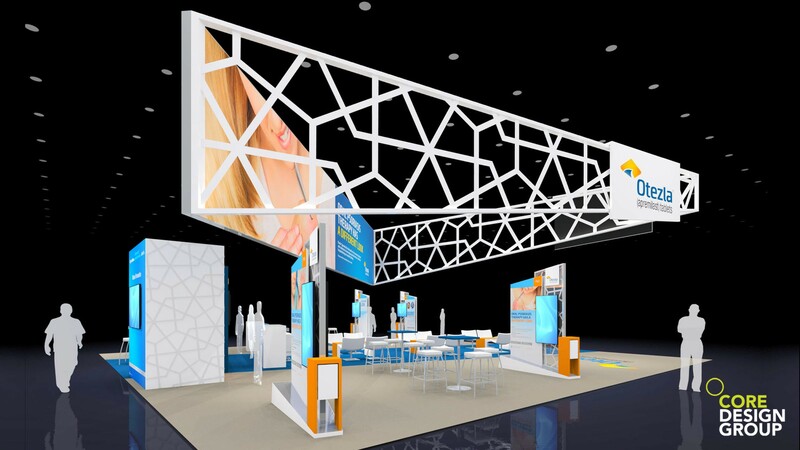 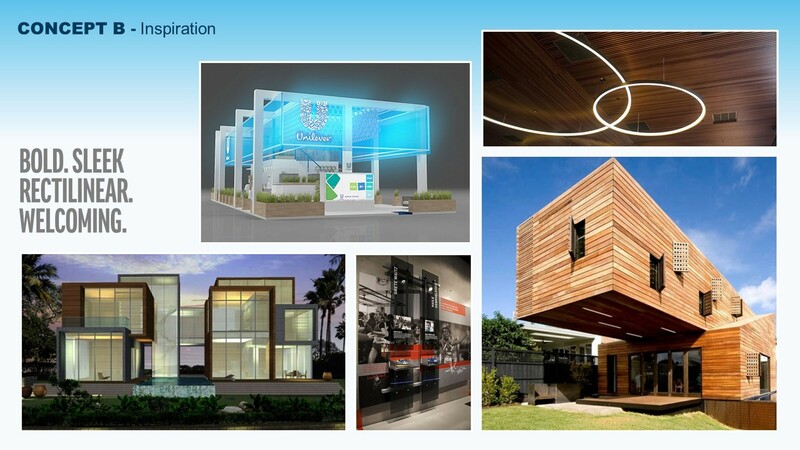 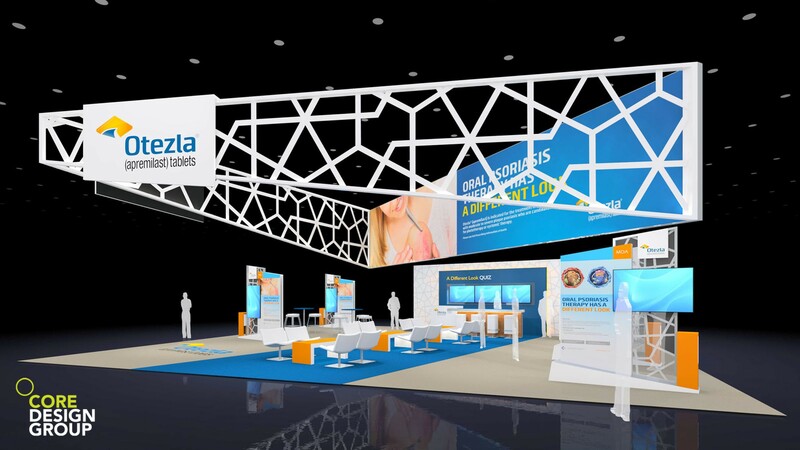 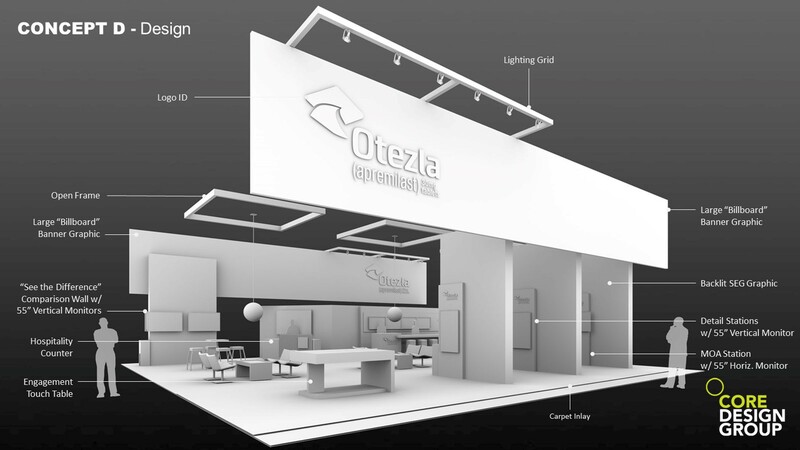 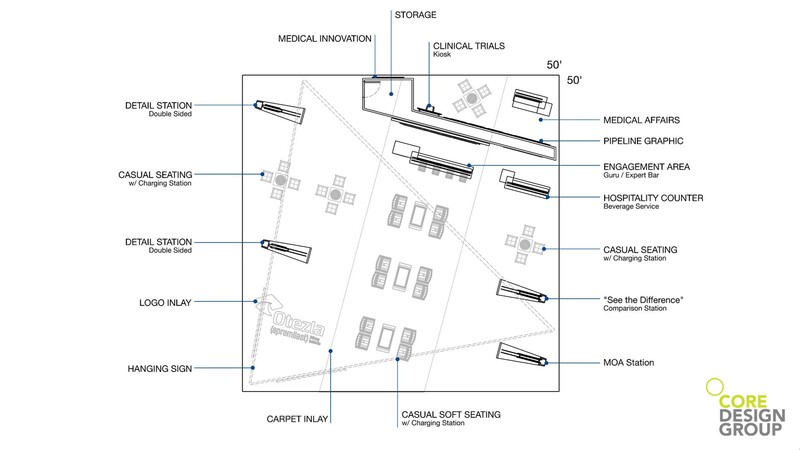 The Core Design team brought a new angle to the Otezla exhibit design concept for Celgene. 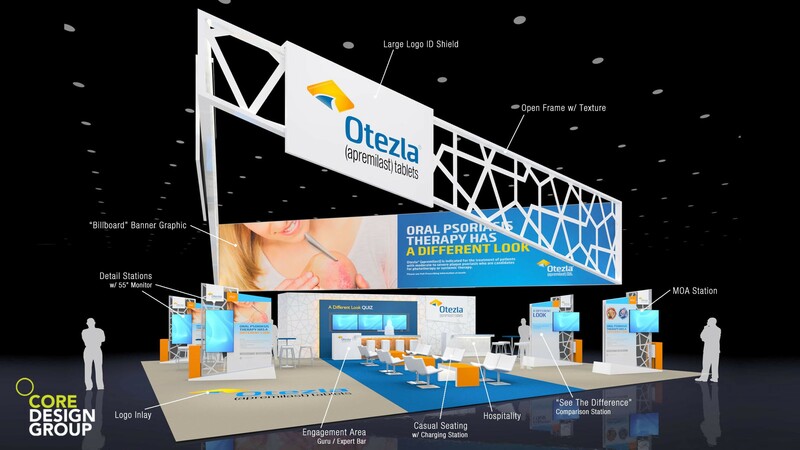 An architecturally open & inviting environment was crowned by an overhead frame with prominent Logo placement. 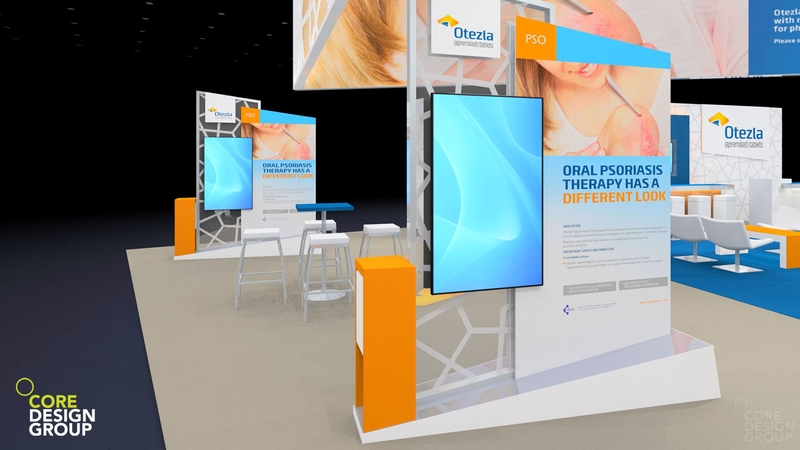 The frame was filled with a contemporary texture that mimicked the psoriasis condition and a large graphic branding banner as a backdrop.